Lumalakas, lumalawak nationwide! lumalaban! Anakbayan Radio show! let’s go! Why: Check out the only national Filipino youth online radio show that broadcasts the voice of the Philippine struggle for national liberation, genuine people’s democracy and social change! 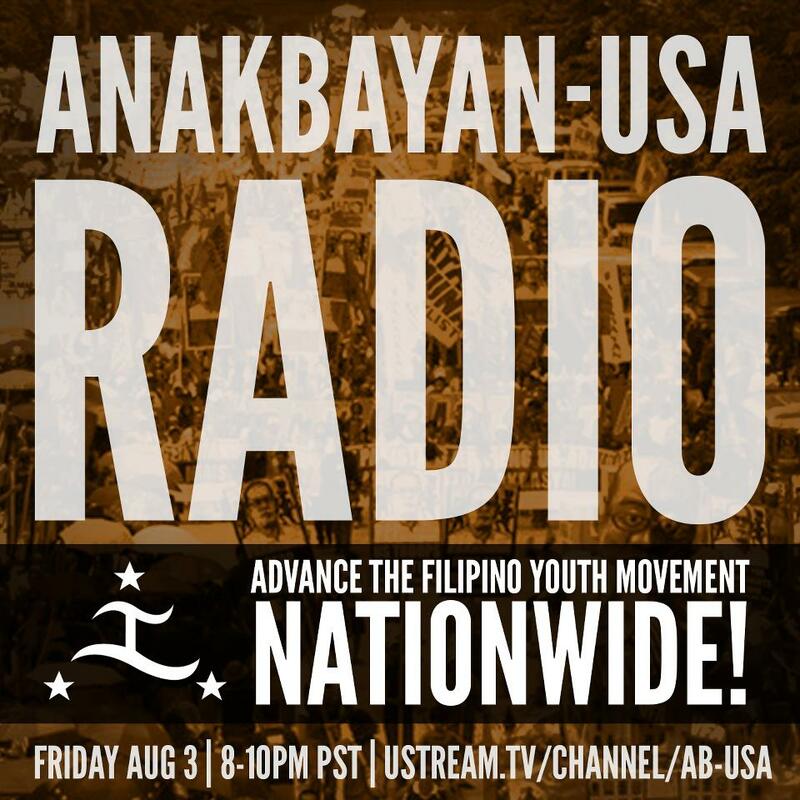 Hear updates on the ground from different chapters in the US, progressive culture, and learn more about the growing Filipino youth movement in the Philippines, US and all over the world!